Ok, After almost 2 months of hard research,coding and hacking the tool has finally reached its first public stage. Currently there is not much, but should be enough to get you guys accupied while i work on the next updates. *Adding too many items (like 800 or more) will cause the inventory to place some items in the wrong section, it will therefore freeze or crash your game while trying to do something with a misplaced item. I suggest you keep it safe and add only items you need. *a few other thing i think, but all the issues are being worked on , and will eventually be fixed. #Parameter Editor, will do allot of fun stuff, its allready being developed, just not finished yet. 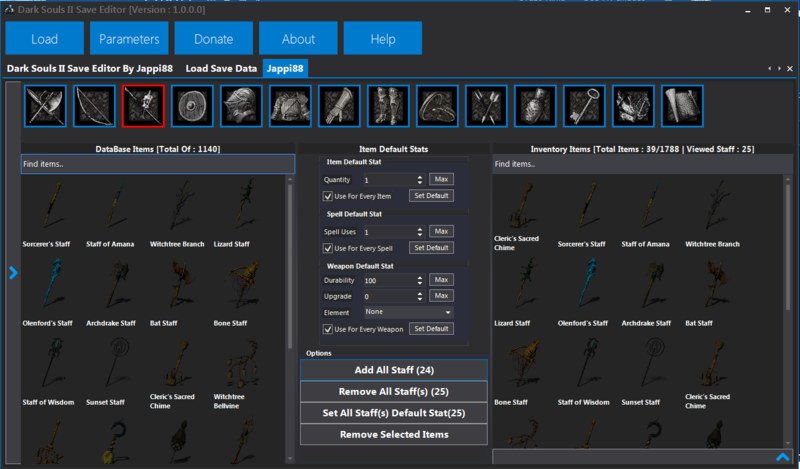 #Inventory editor will be fixed to support adding all items if desired. 1) Load your gamesave via the left tab menu. You can load it from your PC, USB or FTP [modified console only]. 2) Select the slot you wish to modify and press 'Load [Charactername]', you will be shown the characters current stats and are free to edit them. 3) Modify your current equipment if you want by pressing the 'Equipment' tab on the left menu and then double clicking each slot you want to modify. 4) Your inventory can be modified by dragging items from the database on the left, to the right, to change sections click the icons at the top, they match the game icons. 5) When you have finished modifying your save as you see fit, press 'Save Changes' on the left menu. 6) Your save will be updated and returned to wherever it was loaded from, you will be told when this is complete. *Changed Slot data management, will bring us some nice new feutures in the next updates! *Updated Database structure, new version must be downloaded inorder to use it. *Added Item Corruption warning when a item is flaged as "may corrupt", the item corruption flag can be changed in the database section. *Allot of other Bug fixes! *Added new Database section for all ignored items, ignored items are items not used by game, or may already be ingame by default, those items are ignored by the inventory editor, but can be removed from that section anytime in the database section. *Fixed and improved some of the equipments. 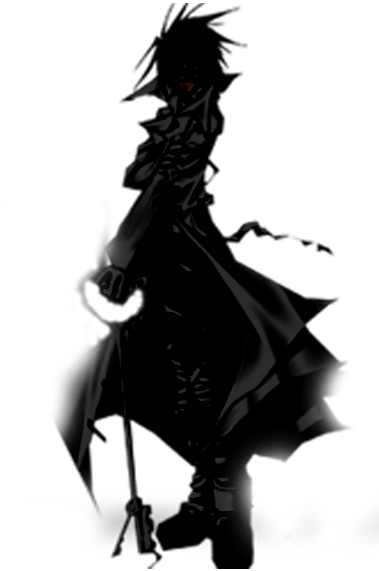 *Allowd for mutiple spell adding, also spell uses will be default like ingame unless other specified. *Changed Inventory management, will cause the inventory of non edited character not to change. NOTE! : This Update may bring up new bugs, please report them at 360haven by pm or the supported Thread, try to explain the bug as clear as possible with all the steps taken by you! *Added the ability to change your desired DB language, Some languages do not have all items, instead english will show. Changing the language needs to be done inside the Database Section. *Fixed Database promping for update when not needed. *Fixed Items showing in the wrong section InGame,Game uses weard approach that i managed to reproduce. NOTE! Keys may still show up in the item section ingame, simply Quit the game and reload, and all items should be placed accordingly! *Fixed Corruption caused when file is modded from usb. *Added Warnings for conflicted usb managers. *Changed Saving progress that will allow you to keep editing your save while saving. *Added UI that will allow you to set your stats to the required values for banned modders to still do pvp. *Added the possibility to Duplicate Items,Shards and Arrows. *Added Automatic USB detection when device is inserted/removed. *Added the possibility to change your gestures. 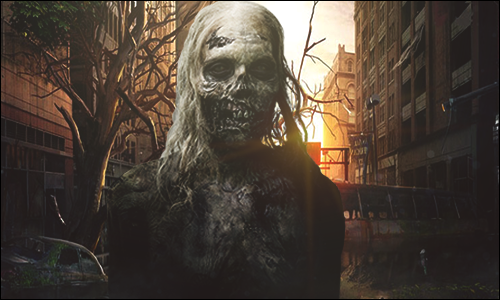 *Added the Possibility to(Un)lock or max out covenants. *Improved PS3 Saving, saving changes should be fixed now. *Fixed replacing Userslot that causes the gameprogress to not change along. *Changed User Slot Extraction data , it now include the current gameprogress. *Fixed Replace/Extract/Move Gameprogress from the tool section. *Enabled the Tool to recognize your last set up Database language,it will load that language as default. *Fixed Item Upgrade not changing when edited. *Cleaned up some messy UI, and background threading. *Added new STFS Fixer, to allow you to fix your corrupted xbox360 save when updated to latest callebration. 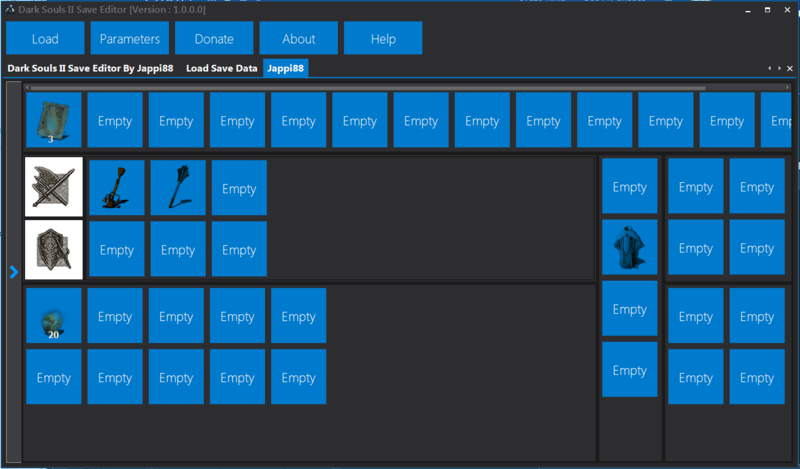 *Fixed Equipment Editor, you can now enjoy the awesome equipment interface for easy management. *Fixed allot of bugs in inventory browser, works much more pleasant now. *Added new Flag to the database, named as "CanHaveMoreThenOne". That flag works only for the beltslot items, disabling the flag in the database section would make the item act as a single item. Note! older Databases are rendered as unusable! *Improved DB Reading, much faster now. *Fixed the Equipment arrow editor to only show the proper items for the clicked slot. *Updated Assembly to .Net Framework 4.5! *Fixed all the bugs known! *Fixed bug in usb saving. *Added option to enable/disable item propertie viewer in inventory editor. *Fixed crash when tool restarts after updating. *Downgraded .Net to 4.0 instead of 4.5, to help out xp users! 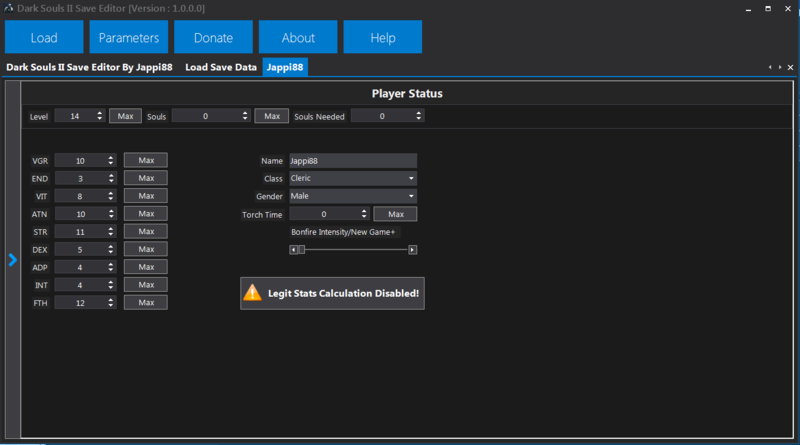 *Created new STFS Manager, hopefully fixes the most corruption caused for xbox360 users. *Updated Database structure to allow dlc items. *Updated language file structure to allow updating. 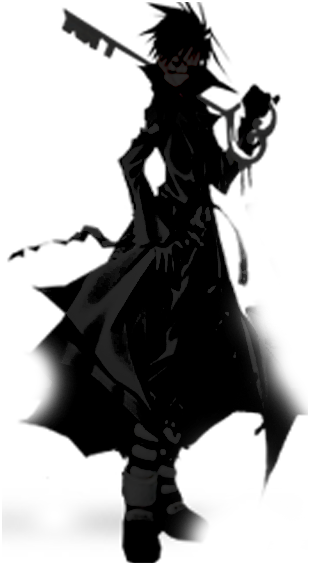 *Added Option to diable DLC Item Adding. *Fixed Some error caused by the STFS fixer. *Fixed switch from Inventory to ItemBox, or the other way arround where items would be added to the wrong Item Storage. *Added DockControls for the loaded userslot, you can view as docked Document,and Undock, or Dock them to where you want. *Changed the Saving from slot to save only the slot where its pressed, and leaves the other slots alone, unless the 'Save All Slots' is used. *Changed STFS Fixer to allow you to choose your files, and remove corrupted if you want. *Changed Database to a static container, for faster and asier item management. *Linked All changes to each other, it will update everything realtime when you change something. *Fixed and improved spell Equiper, now shows only the slots availible, just like ingame. *Updated Database with 8 more dlc Items. *Added the ability to reload the database at will. *Improved loading speed, loads Database only when it have to. *Added the ability to drag items from the Database tab to the inventory, handy when working with dockable Tabs. *Fixed more bugs in Inventory manager. *Removed the big Buttons in the inventory page to preserve space, and relocated them elsewhere. *Added more usefull features like : Add all dlc,Own All Items,Wipe inventory and a few more. *Added message to perform the task when 'prevent duplicates' or 'prevent dlc' is enabled. *Changed Progressor to static,and linked it to all tasks. *Changed the mainpage to a dockable container. Slots can now be undocked or docked elsewhere. *Added inventory info button to check how many items you have of each type. *Improved data writing to match the game method as much as possible. *Fixed a bug where gestures and keys could end up in the same list. *Fixed bug where alocating datablock could refer to a unused or invalid block. *Updated Database structure to contain more item flags,like time added,dlc version and few others. *Added "Crown of the Old Iron King" DLC. *Updated Language files with new dlc items. *Removed 'Prevent duplicates' and 'preventdlc' from the inventory page. *Added Setting page where you could edit your desired preferences. *Removed message to ask wether you want all tabs docked, those preferences are now adjustable in the setting page. *Improved loading speed while loading graphical userinterfaces, they are now initialized when slot is selected. *Added the 'NEW' painting to the item image when item is less then a week old. *Changed Backup system, backup is now mandatory, they will be created with filename[datetime created] inside the specified backup directory. As usual,Enjoy,Donate if possible and report any bugs found! This build is a start of something new. Anything below this version will not be supported. This tool enables you to modify your Ps3 or Xbox360 save data. It does not require any third party app, unless your usb device is not supported by the program. This program is purely design to edit your save data for offline usage... if used online then a ban would be your own damn fault. Please use this tool with caution. The new version brings a new system that will be used for any advanced program. The system is designed to bring ease to any user, and especially to me when making updates. It is needed because there are too many leechers who didnt show any appreciations. The tool has been used by more then 14000 users, and only 250 of them could give a proper thanks. That era is gone, only registered users are now able to use and profit from all the nice features that will come. The system includes a donation method that allows you to donate any amount you want. All donations will be received and processed automaticly. This tool will be all free, but only requires you to donate for the DLC items. If you wish to use the first dlc then 1$ is required, first and second will be 2$ and all three requires you to donate 3$. The 3th dlc will be added once it has been released. Since version 2.0.0.0 is registration required. You can use the account for any other tool from now on. After you have registered, you will be able to send bugs to me, check your donations, view the app information,recieve updates and so on. The account will be bound to the system you registered on. If you log in from another OS then your account will be suspended until you activate it. Whenever your account gets activated , the OS you performed the task on will be your default OS. Each time you switch from Machine , you will need to reactive the account. There will be no sensitive data stored whatsoever. Every donation you will make will be stored and rewarded with exclusive features. If you don't get rewarded enough in this tool, then you will get compensated in the next one. This will keep me motivated, and ensures that you guys always get the best stuff you deserve. but they are not restricted in using this tool, infact, everyone will be able to use any of my tools, but it might be limited in some parts. Show your appreciation and ill show mine! If you already made a donation then you can contact me with your payment details and ill adjust your account. Be sure to contact me using the program. To be able to use anything from the tool , you would need to login first. Before you can login you will need to register and activate your account. After successful login, you will be able to use the tool as you where used to. The only thing that has changed as of the usage is the donation part to use the dlc items. All copyrighted content is the property of its respective owner. The author(s) & software have no affiliations to anyone unless specifically stated. This software is non-profit and for personal use at the user's discretion for the purpose of modifying their savegame files associated with the game, unintended usage is strictly prohibited. *Fixed error when trying to save. *a few other minor fixes. *Fixed Bugs while reading some of the saves messed up by the latest DSII patch. *Fixed some bugs while trying to load from usb. *Changed USB Loading interface to always show a floating usb loader. *and more fixes i dont remember. *Fixed file not found while trying to save in ps3mode. *Fixed some other bugs related to saving from usb. 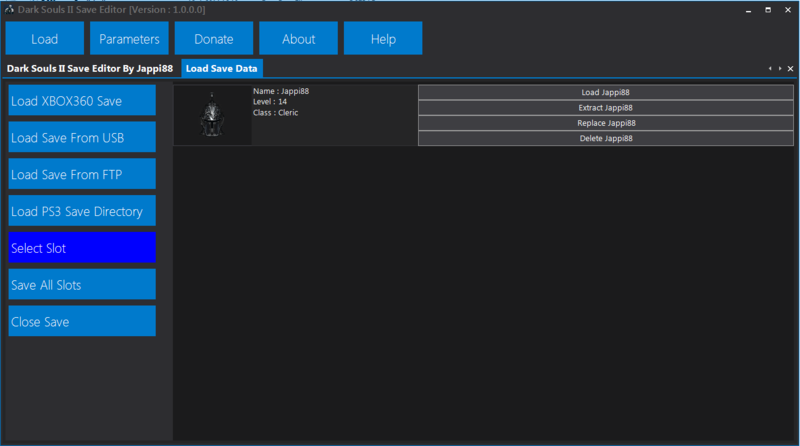 *Made the Profile/Unlockables display whenever a new donation is recieved, to ensure that the donator recieves what he deserve. Keep in mind guys that this update should solve allot of bugs but i'm afraid not all. Please keep posting bugs if you find them and il make sure to fix them. Please note that some bugs needs a lil more time! im aware of them , and will fix them all ASAP! Online play with modified saves is not supported and liable to incur a ban from Dark Souls II online services. Neither this software nor it's author(s) encourages usage specifically to manipulate your online experience and are not responsible for any damages and/or loss of access incurred from usage. Please note bans extend beyond a single character and restrict your entire account, your decision to ignore this warning is yours and yours alone. Pease Consider a Donation for all the hard work put into it, and the much support that comes along with it. Really nice will be trying it out right now. great work Jappi88 i no you have put a lot of time an effort in this editor.just hope members will respect that. Thanks so much Jappi! Glad you decided to release it! Quick question, is online play going to be a possibility in the future or did FromSoft make this impossible? I'm not sure if you or anyone else knows why saves get caught/corrupted but I have a feeling it's to do with the calibrations that happens every time you start the game. FROM makes checks every 72 hours, so you can still play online as long as you be subtle with your modding, Soul Memory makes it slightly difficult to connect with players. Something something, look at me, something something.